We continue our employee spotlight series by recognizing the firm’s financial officer, Jennifer Mummert, CPA. Jennifer plays a crucial role in operations by managing the firm’s financial infrastructure, a role that requires her to balance financial accounting, assist with financial transactions and support human resource initiatives. Combining her vast knowledge of the commercial real estate industry, her previous experience as an audit manager for a regional public accounting firm and a passion for helping others, Jennifer consistently provides high-quality service to our firm and our clients. In addition to her role at J.H. Berry, Jennifer is an active member of the Birmingham community. Through her church and multiple boards and committees, Jennifer is committed to service in every phase of her life. Jennifer received her Bachelor of Science in business administration with a specialization in accounting from Auburn University. 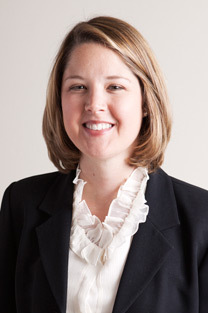 In 2008, she received her Certified Public Accountant designation from the state of Alabama. Financial Officers are crucial in all types of industries and organizations – what led you to work in commercial real estate? I was led to CRE from my public accounting career, as both strive to provide the highest level of service to their clients. Both industries require hard work and integrity, and building and maintaining relationships in order to become a continued trusted business partner is paramount. What do you enjoy most about working in finance? Are there specific opportunities you experience working in finance within the commercial real estate industry? In my position, I have the luxury of working in different areas of a small business, which include financial review, legal issues, human resources, and partnership management. I enjoy researching the different sectors of CRE to analyze the different growth opportunities and trends of each. I also enjoy reviewing company reports alongside the partners in order to position ourselves to meet financial goals. From a HR perspective, I have enjoyed creating relationships with all team members, and working to create a great working environment and culture for our company. You’re highly engaged in the Birmingham community. What motivates you to give back, and what are your favorite organizations to serve? All of the organizations with which I become involved pull at heartstrings, so it would be difficult for me to choose. My motivation for giving back is driven by my desire to help others. As I look back on my life, I think of the many volunteers that crossed my path and made an impact. I hope to do the same for the individuals I meet. What do you enjoy doing in your free time? In my spare time, I enjoy spending time with my husband and three children, playing tennis and golf, and cooking.